OnePlus 6 has consistently been subjected to rumors since the beginning of this year. All eyes are on the Chinese company as they gear up for the launch of OnePlus 6. Gradually, even the brand is releasing hints about the device, which also indicates that we might get the new flagship earlier than the usual time frame. Earlier this week, OnePlus had launched the first official teaser of the OnePlus 6, confirming the existence of the device. Now the company has revealed another teaser which hints towards the use of gestures. Since we have confirmed reports suggesting that the OnePlus 6 will have a notch, the company will have to look for better alternatives to navigation buttons. Gestures will be the way to go for the new full-screen device. Apple introduced gestures on iPhone X as they had to incorporate the functions of the home button within the screen. In case of OnePlus 6, we might also get an option of software keys. OnePlus chief, Carl Pei mentioned that the company is trying hard to add more screen real estate and hence has opted to go for the notch. However, they will let users hide it if they want. We also got a peek at the rear panel of the OnePlus 6, thanks to a leak by a popular tipster, Evan Blass. By the looks of it, OnePlus will make the device look more premium, which might be a departure from its industrial design language. On a positive note, the company is still keeping the 3.5mm jack. The device is expected to feature a glass back which could also mean that they will finally introduce wireless charging on a OnePlus device. Another interesting feature that could make debut with the OnePlus 6 is a physical focus slider. According to OnePlus, the alert slider will double up as a method to control the focus of the camera. 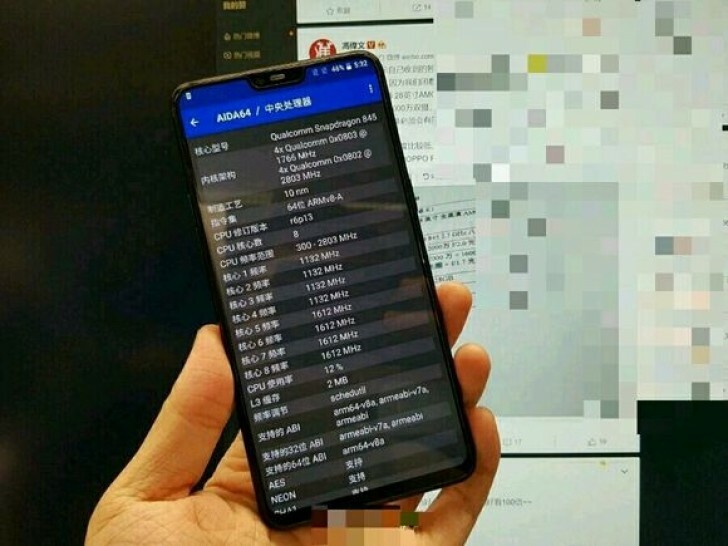 In terms of internals, OnePlus 6 will be powered by a Snapdragon 845 chipset. The device will come in two RAM variants, the lower with 6GB RAM and a higher-end variant with 8GB of RAM. However, no details about the pricing have surfaced so far.